The Settlement House Food Pantry is open Monday through Friday from 4:00 PM to 5:30 PM. 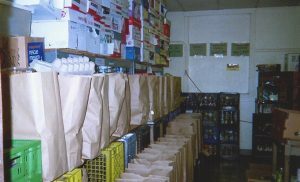 Bagged donated groceries are distributed to low-income families and individuals who have cooking facilities. All clients are screened for eligibility. Eligible clients may receive groceries once every thirty days. 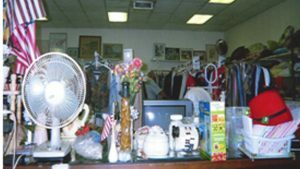 The Settlement House Thrift Store operates Monday through Friday from 10:00 AM to 5:00 PM, and on Saturday from 9:00 AM to 2:30 PM. The Thrift Store provides clients with minimally-priced clothing and household items. If the client has an emergency need for clothing and no source of income, the client may be able to obtain clothing at no charge after screening. The Thrift Store is open to the public. Visit us – you’ll be pleasantly surprised! 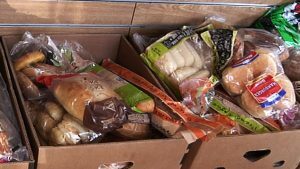 Each year at Christmas, approximately 700 food baskets are provided to low-income families and individuals and senior citizens in our community. (Clients are prescreened for eligibility.) With your help, we are hopeful to reach our goal once again this year. 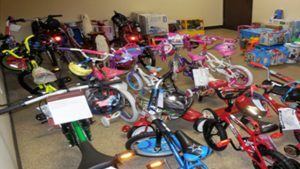 At Christmas each year, thousands of new toys are sorted, gift-wrapped, and provided to about 3,000 children from low-income families. Toys are donated through the Firefighters’ “Spark of Love” Toy Drive, local businesses, organizations, schools, and individuals. New unwrapped toys for boys and girls ages newborn to 15 years. The greatest need is for toys/gifts for girls ages 9 years to 15 years.